With all the sewing I've been doing, and my mom's birthday coming up (actually, it's today), I wanted to make her something. Truthfully, I finished most of this yesterday. I just had to finish the leggings today. 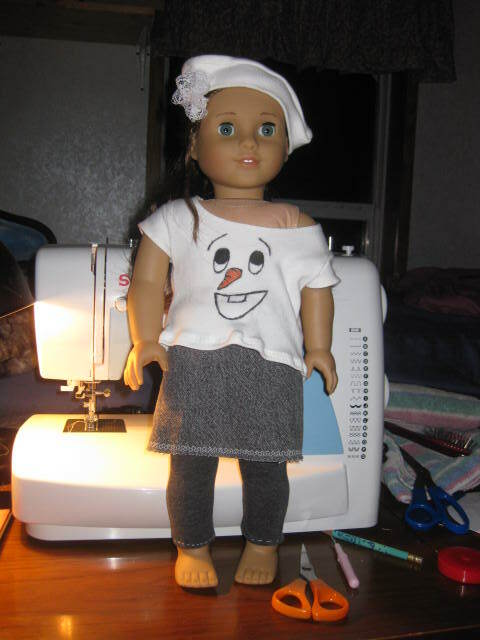 First I made a mini skirt with Liberty Jane Clothing's Mini Skirt pattern. This is the third skirt I've made with this pattern. 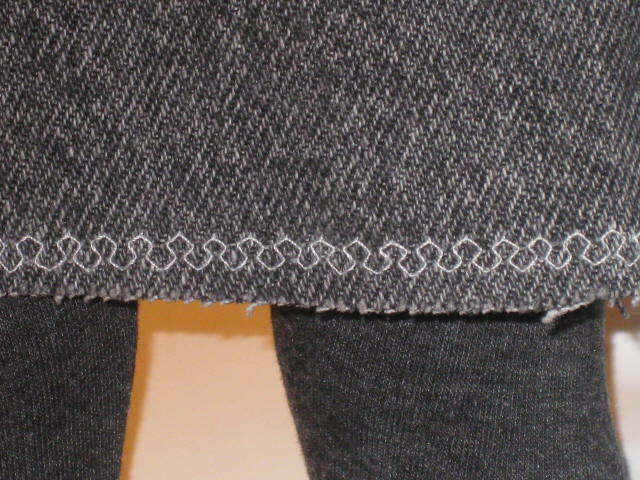 I used a different stitch on the hem this time. 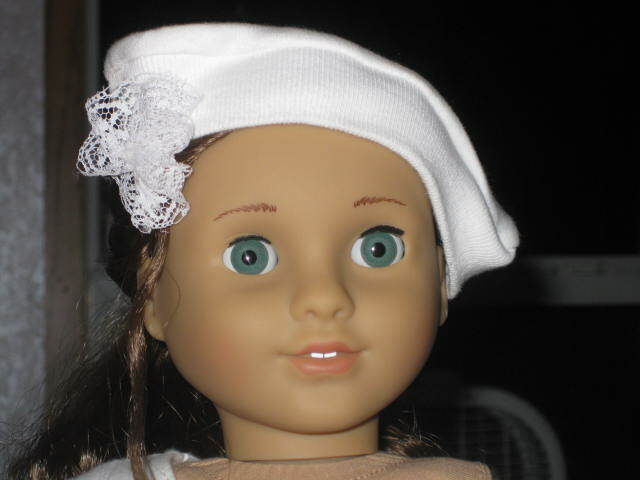 After the skirt, I made a beret of sorts and a lacy hair clip. The lace thing is sewed on to a barrette. After these two accessories, I made the shirt with Liberty Jane Clothing's Variations T-Shirt pack scoop neck pattern pieces with the Liberty Jane Clothing's Trendy T-shirt cap sleeve piece. 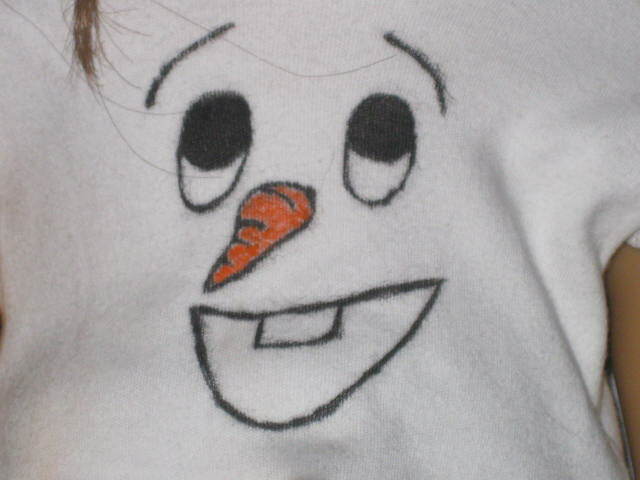 First I drew the design I wanted, in this case Olaf's (from Frozen) face, with a pencil. Then after I had it the way I wanted it, I went over the pencil with my Crayola Fabric Markers (I made another shirt with these here). I used both the Fine tip and the Bold tip. After I drew on the design, I threw it in the dryer for a half hour, per instructions, to set the ink. And, voila! A cute little Olaf inspired outfit.